Dubai is a vibrant city with much to offer those who chose to live and work here. Unfortunately, there is no one-two-three step plan to land your dream job in Dubai, but there are some rules and guidelines you can follow to help streamline your search and apply your resources efficiently to save valuable time and money. The recruitment process in Dubai varies significantly from that in other Western countries; understanding the process will help to make looking for a job easier. Whether you are in the country on a visit visa to job hunt or you are trying to find a job from your home country, understanding what employers look for is vital to help you put your best foot forward. The process for recruiting an employee also varies with the position you are gunning for. If you are looking for a mid to high level management position such as an HR Coordinator or Head of Sales and Marketing, most companies here will be willing to go the extra mile to find out if you are the right candidate for their requirement. Companies will hire several recruitment agencies to help them find the right candidate and will be willing to fly you in for an interview with all expenses paid. They might arrange a series of phone interviews or video-conference interviews with you prior to this step to make sure that your qualifications match their needs. For non-core positions such as receptionists, office assistants and administrative positions, most companies will prefer to hire someone who is already present within the country. As per UAE Labor Law, a hiring company is required to pay all the expenses related to the recruitment process, so given a choice, most companies will opt on saving additional expenses to fly people in when looking for non-managerial staff positions. 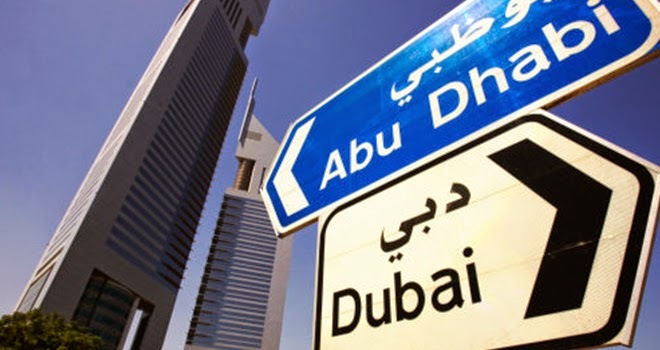 If you are deciding on whether to come to Dubai to look for a job or to try and secure one from your own country, there are several things to take into consideration. Dubaiis not an inexpensive city and staying here without an income, even for a short period of time can be costly unless you have friends or relatives that are willing to host you during your job hunt. If you do decide to come out, make sure that you float your CV prior to arriving in Dubai, and if possible try to line up a few interviews to utilize your time effectively when you are here. That way you won’t waste your time doing legwork, which can just as easily be done from outside the country. It is highly recommended that you have your CV professionally written before you start sending it out as the job market in Dubai is very competitive. We have teamed up with the leading CV Consultancy Company so you can get your CV professionally written for just £32.50! If you want to get your CV reviewed first. Claim your free CV Review Now. There are four primary ways to go about looking for a job in Dubai; which method you opt for will depend, in part, on the type of job you are looking for. 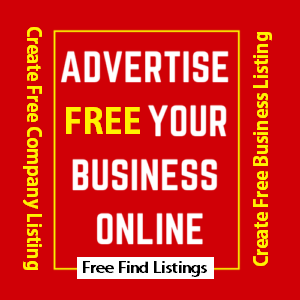 Company websites: If you are aware of companies in your chosen career path, get on the internet and look up their websites. Most firms have a careers section on their website and many will post job vacancies here along with their requirements as well as the application process. This minimizes the risk of job scams and also helps to narrow down your search a bit. Recruitment agencies use your professional profile to sell you to potential employers. Most companies in Dubai, particularly for high-end job positions, will hire recruitment agencies to help them find the right candidates. The better the salary package your targeted employer offers you, the more money your recruitment agency will make. It is, therefore, in their best interest to ensure that you find a job and get a competitive salary package. The best way to work with a recruitment agency is to check out their website first and make sure that they deal with jobs in your field. Then call the company and ask to speak with a specific recruiter who deals with jobs in your chosen line of work; most recruitment agencies will have a particular recruiter who deals with specific job fields such as IT jobs, Administrative jobs etc. To get the best results, work with an individual within the agency who understands what you are looking for in your job search. Also remember that legitimate recruitment companies will never ask you for an upfront fee as this is illegal! One of the most popular recruitment websites in Dubai is Bayt. We suggest uploading your CV to Bayt to gain maximum exposure to recruiters and potential employers. Most people dread cold-calling a company for fear of having the phone slammed in their face. This method, however dreaded, can be most effective if you prepare a professional sales pitch prior to calling the company. Go to the company website, learn a little bit about the company and its culture and be prepared to quickly highlight your strong points on the phone. You can also connect with people who already work in your targeted company by building a relationship with them on websites such as LinkedIn. Personal networks: Your personal network of friends and associates can be of great assistance when you are job hunting. Make sure to put the word out that you are looking for a job and contact your friends and colleagues to request them to put in a good word for you if they work for a company that you are targeting. In Dubai, a resume and CV are considered as one and the same thing. Your CV is your most important marketing tool as it establishes a vital first impression of you to your potential employer; a strong first impression will help get you noticed and possibly shortlisted for an interview. In Dubai, there are no anti-discriminatory laws; most firms are very specific about ethnic origins, age and how you look so it is important to include a professional photograph of yourself in your CV. Include your age, gender and nationality so that employers are clear about your background and where you are from; this is unfortunately a part of the hiring process here in Dubai and your ethnic origin may play a deciding factor on whether or not you are offered a position. Forget about the clean, short and precise CVs that are considered effective in most Western countries. In Dubai, your CV should be comprehensive and most employers will look for a two or three page CV. Also, remember that in Dubai, you are selling yourself as a valuable asset to a potential company, so make sure that you present the work you have done in a very positive way; instead of writing ‘Spreadsheet data entry’ you could rephrase it as ‘Entered project specific data quickly and effectively to increase productivity by 50%’. If you are good at styling your CV, you have a better chance at getting it noticed. You can do this yourself or hire a professional CV writing service to help make your resume more professional looking. Above all, read and re-read your CV several times to make sure there are no grammatical errors. Dubai is the best place for the people of the other countries to look for jobs and many people are coming there. You did good to share the guide that will help many people.